An 80 foot coal seam at the North Antelope Rochelle opencut coal mine. ^ "The 10 biggest coal mines in the world". 20 October 2013. ^ Banerjee, Neela; McClure, Robert (2017-12-29). "How Federal Giveaways to Big Coal Leave Ranchers and Taxpayers Out in the Cold". InsideClimate News. Retrieved 2019-01-26. ^ a b "North Antelope Rochelle Mine". Peabody Energy. Retrieved 2013-06-20. ^ "Table 9. Major U.S. coal mines, 2015" (PDF). U.S. Energy Information Administration / U.S. Department of Energy. Retrieved 2015-08-01. ^ "Celebrating 125+ Years". Peabody Energy. Retrieved 2013-06-20. ^ "Black Thunder Thermal Coal Mine". Mining Technology.com. Retrieved 2013-06-22. ^ "Black Thunder". Arch Coal. Retrieved 2013-06-24. ^ "Concise Guide / 2011 Wyoming Coal Production by County (p. 7)" (PDF). Wyoming Mining Association. Retrieved 2013-06-20. ^ "Wyoming miners, after mass coal layoffs, wonder where the next paycheck will come from". Casper Star Tribune. Retrieved 2016-04-02. ^ Table 9. Major U.S. Coal Mines, 2017, Annual Coal Report 2017, U.S. Energy Information Administration. ^ "Guide to Coal Mines p. 10" (PDF). BNSF Railway. June 12, 2013. Archived from the original (PDF) on November 21, 2010. Retrieved 2013-06-20. ^ "North Antelope/Rochelle Mine". 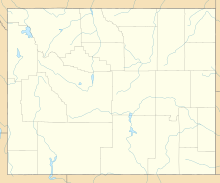 Wyoming Mining Association. Retrieved 2013-06-20. ^ "2012 Excellence in Surface Coal Mining National Award Winner". Office of Surface Mining Reclamation and Enforcement. Retrieved 2013-06-22. Wikimedia Commons has media related to North Antelope Rochelle Mine.